The rapid increase of residential buildings in Kuwait is a major contributor in resource consumption, waste generation and CO2 emissions. 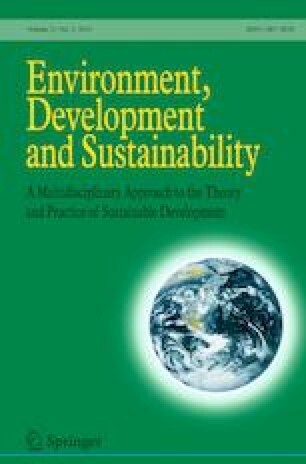 This paper aims to introduce a new concept of green buildings in Kuwait for saving water, energy and using eco-friendly materials in residential houses to develop more sustainable and high-performance buildings. For the purpose of evaluating the conventional buildings impacts and clarifying the resident’s awareness towards the green building concept, a survey questionnaire was designed using Google Forms. In addition, a case study of converting a conventional building into a green building was studied, with assurance that the owner requirements were implemented. The overall water saved (in terms of consumption and bill cost) was 46%. Energy waste from light consumption was reduced by approximately 86% by using LED lights, timers and sensors, with annual cost savings of 54%. Due to this reduction, a great decrease in CO2 and greenhouse gas emissions was achieved (approximately 65,893 kg per year). Moreover, two different design software tools (HAP and SketchUp) were applied for HVAC cooling loads and PV panels, respectively. By installing high-quality insulation and ducts and double-glass low-e windows, the HVAC cooling load was reduced by approximately 25%, which contributed to the decrease in greenhouse gas emissions (approximately 90,262 kg per year). The annual electricity production generated from the PV panel system was 6770 kW h. To enhance indoor air quality, an eco-friendly paint was used as an alternative to normal paint, resulting in an 88% reduction in VOCs. Earth System Research Laboratory. (2018). What is the global greenhouse gas reference network? Global Monitoring Division, USA. 02 August 2018. https://www.esrl.noaa.gov/gmd/ccgg/about.html. Lattemann, S., & Höpner, T. (2008). Environmental impact and impact assessment of seawater desalination. Desalination, 220, 1–15. https://doi.org/10.1016/j.desal.2007.03.009. http://www.dafz.ae/en/OurServices/PublishedCaseStudy/A%20Case%20Study. Renewable Energy World. (2009). Shade happens, R.J. Muenster, USA. 02 August 2018. http://www.renewableenergyworld.com/articles/2009/02/shade-happens-54551.html. U.S. Green Building Council. (2016). Benefits of green building, USA 02 August 2018. https://www.usgbc.org/articles/green-building-facts.